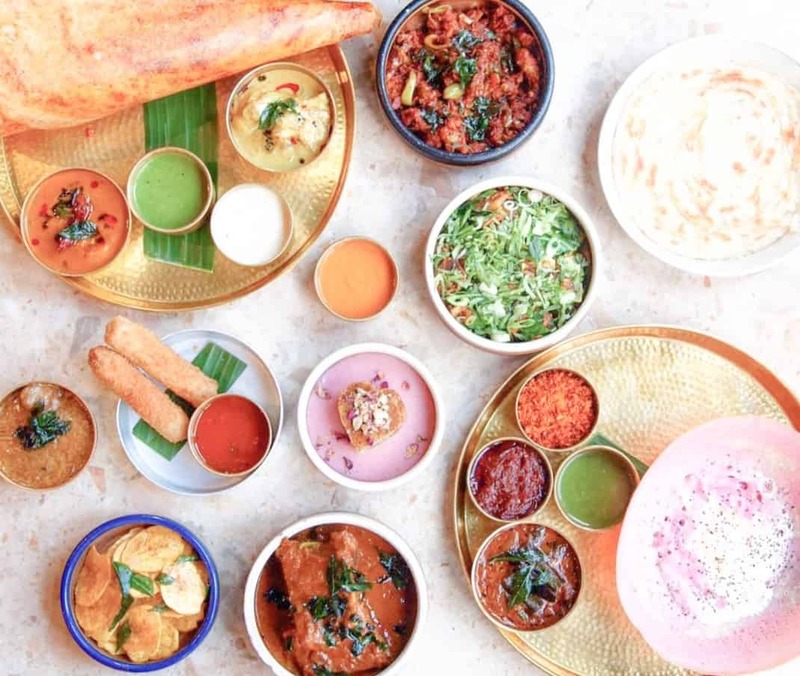 The capital has a wonderful international food scene with lots of variety, so here we bring you the best halal restaurants in London. You will note that, when you visit London, halal food is much more common than other parts of Europe. The scheme of halal food refers to the Islamic dietary requirements which are connected to the source of the meat and other things like the method of slaughter and cooking. If you are wondering where the best halal restaurants in London are situated – we have you covered. Having personally tried each of the entrants in our list, I have compiled a list of the best halal restaurants in London for you! Don’t forget, much of Middle Eastern cuisine including Turkish, Persian, Egyptian and also Malaysian and Indian generally follow halal food production. Each of these cuisines opens up a new taste door for you too – so enjoy the this food delirium at the best halal restaurants in London, and bon appetite to you, ladies and gentlemen! Tukdin is a halal restaurant in London that serves up some fiendishly good Malay food in the Paddington area. If you are curious about trying some halal delicacies from Southeastern Asia, you can certainly come here to try some classics from Malaysia! First of all, you may try their Satay Goreng, Beef Rendang or Nasi Goreng to start with! It is also a good place to order small dishes to share with a group of friends. Tukdin is a wonderful place to get to know the Malaysian food better too, as they have a very extensive yet authentic menu. Try their lychee drink along with your meal! Brought my cousin out for lunch. The lemak cili api is pretty authentic! Iran Restaurant is tucked away in a small and cozy street at Shepherd Market. The place focuses on Persian food along with Middle Eastern cuisines. Here, you may expect to see smiley faces and a very attentive service. The dishes are amazing – Chicken biryani, shish kebab, lamb shank, mixed grill are all amazing! You may also taste fish based dishes here. For starters, you can order different types and share which is very common in Iran as well. Don’t skip their hummus and Koobideh – they alone earn this establishment’s place on the list of the best halal restaurants in London. A perfect place to enjoy a halal dinner or lunch in London. Finally met up with the lovely @irene.c.han after literal years! It was really nice to catch up with you again, and thanks for being the better conversation partner for the night! ;D Do come down to SG proper soon! . . We dined at Iran, courtesy of the bestie’s suggestion, and man, what a fab choice! (Thanks, Z 😊!) The food boasted a myriad of flavours intense yet unique to each dish, and in a hearty enough portion that the very very v e r y ravenous me couldn’t go through more than 3/4 of what we ordered! Thank you to the absolutely lovely service staff there as well for enhancing the night’s experience, and for the complimentary eggplant dip that turned out to be my fav hands down out of the three we had that night! Kudos! Will definitely be back the next time I’m in town! Liman is one of the family run halal restaurants in London, around Angel Islington. The specialty of the place is Turkish food. Rather than usual, their appetizers – also known as the meze in their menu, are the most famous items. These are small size cold or warm appetizers that are prepared to share among the dining guests. The main dishes include lamb chops, mixed grill, lamb beyti, grilled shrimp skewers or a pan-fried seabass! The halal food takes a whole another level here – everything is delicious! For the dessert, you should try their rice pudding or a genuine baklava, you won’t regret the calories! Which one do you prefer? A delicious lamb shank, a fillet of fresh fish or a Mediterranean salad? We love them all!! The Monsoon is in Brick Lane and it is a typical colorful South Asian variety of the best halal restaurants in London. All the dishes are vibrant, deliciously smelly; some are spicy and hot – in a perfect way! The menu is pretty extensive with a lot of Indian foods but also includes many authentic Bangladeshi fish dishes as well. Nehari, Mas Biran, Prawn Puri, different versions of Biryani are just a few plates to name. Their curries are also quite popular especially the lemongrass chicken curry is a magical box full of flavors! For a nice halal dinner with your friends, this place is great. It’s cozy, the food is delicious and the service is super friendly Not to forget – they also have a lot of vegetarian dishes. Another Turkish food spot for halal food is Lokkanta. Lokkanta focuses on small cold platters to share but also very famous with their tenderly cooked chicken and lamb dishes. You can find stuffed vine leaves, cacik, borek, classic white-bean salad – and so much more. If you can’t decide which one to choose, it is better to order a mixed platter of dishes which can be prepared up to 4 people. Again, the menu includes a variety of vegetarian dishes and seafood dishes along with halal meat options. The place might get busy especially on Friday and Saturdays so make sure you book a place! Don’t forget to try Turkish coffee with Turkish delight at the end of the meal. Where is Shoreditch and what’s it all about?